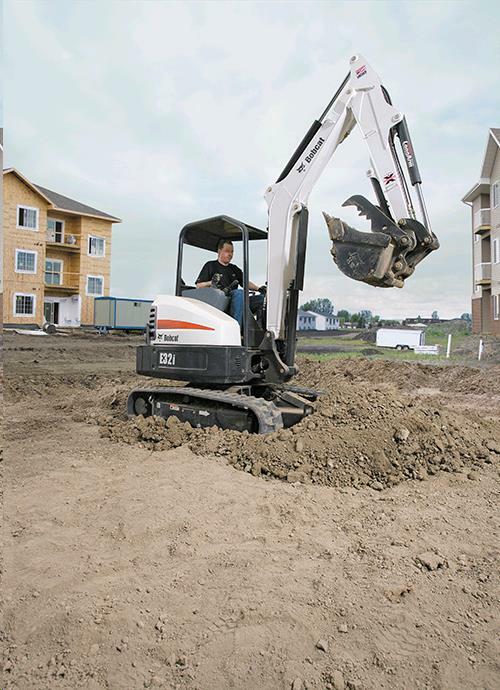 BOBCAT b E32i EXCAVATOR 10' DIG X 24"
Note: This unit has a clamp attachment. Clamp, lift, move and place more debris with the power of the clamp attachment. Featuring a dual-tooth design, the clamp extends beyond the cutting edge of the bucket for holding objects. When not in use, the clamp retracts fully against the arm of the excavator to prevent interference with possible digging and trenching work. * Please call us with any questions you may have about our bobcat b e32i excavator 10 foot dig x 24 inch in Hamel MN, Plymouth MN and the Twin Cities.